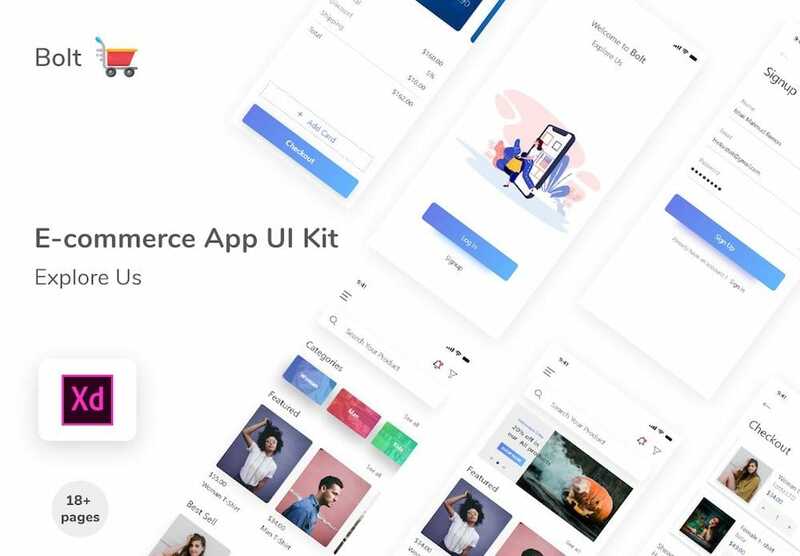 Collection of free Adobe XD E-commerce app UI kits for your next e-commerce project. 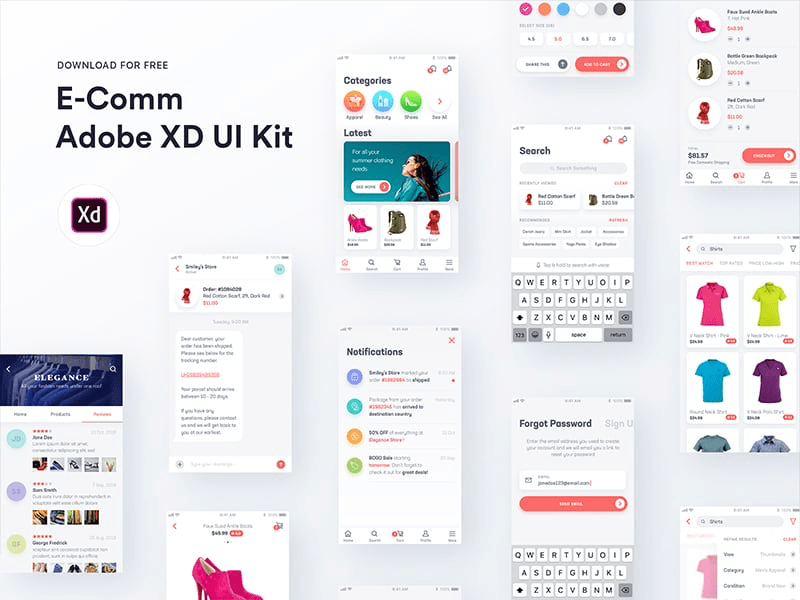 All the UI kits are well organized and free to use on your personal or commercial projects. 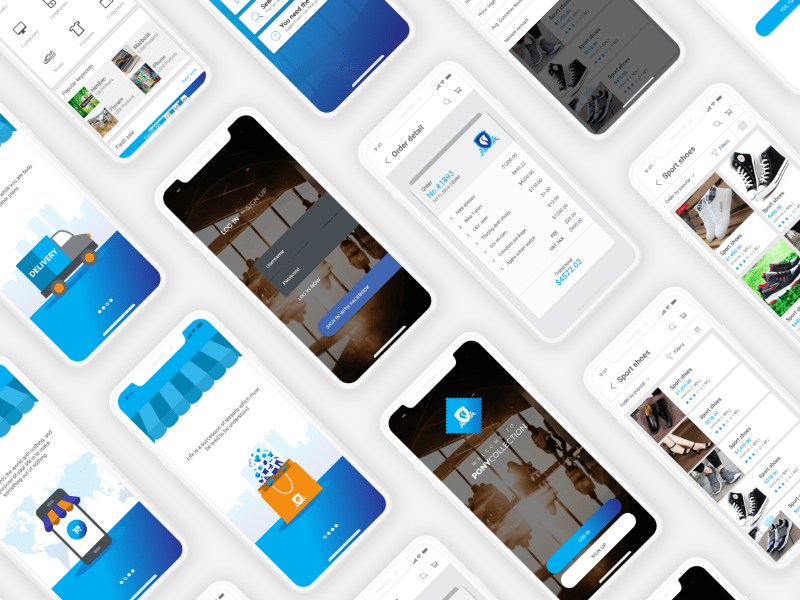 Simple clean app UI kit for your next project. Includes many screens and components. 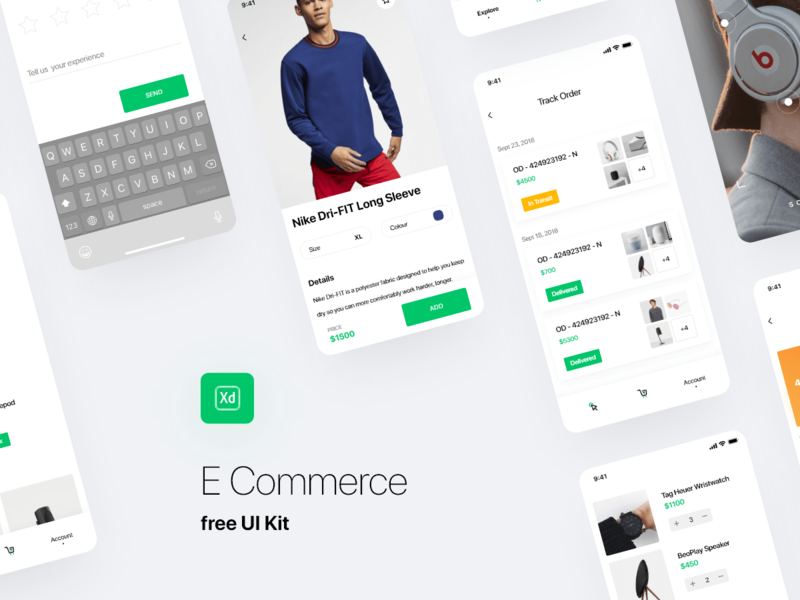 e-Comm is a free UI kit that contains 22 well organized and layered app screen designs, covering all the main user flows. This pony collection mobile app concept is made of 26 mobile screens, Feel free to use these screens and components.